Car break-in case: Should judges be accountable for multiple free passes? There's been a lot of attention on a 21-year-old named Deshawn Patton, who was indicted in San Francisco on 11 felonies related to multiple car break-ins. San Francisco Chronicle columnist Heather Knight called out a judicial system that has given Patton too many passes. Wine assigned a motive of “blind vengeance” to anyone in favor of jail time. He applauded Judge Christopher Hite for wanting to give the repeat offender probation and a path to job training. But when Knight questioned how many chances a person should get and whether Judge Hite is too lenient, Wine accused her of not respecting the independence of the judiciary. If we want to truly protect the community, people who refuse to give up criminal activity — especially when it becomes violent — should serve serious jail time. They don’t have to rot behind bars. We should support and fund in-custody programs that help people improve their lives and leave their criminal past behind. Yes, judges should be independent. They’re also elected, so they should be able to take public scrutiny. The Court Watch program of Stop Crime SF has been following the Patton case for months. Our volunteers show up in open court to hold the police, attorneys and judges accountable. We’re also advocates for victims. None of our Court Watchers want to lock up young people and throw away the key on their first, second or even third offense. If probation, monitoring and job training can put a young life on the right path, we support it. Yet there are limits. Some offenders need a time out to protect the community. Let's not forget that Patton’s current case includes 20 charges for repeated auto burglary. Of those, 11 are felonies. One of his car break-ins was violent and put an innocent bystander in the hospital for four days. In another, he used a car to ram a police vehicle with officers inside. The promise of rehabilitation has not worked for Patton. He was already on probation in two different counties when the latest indictment was handed down for new crimes. Patton exposes how court-ordered monitoring is a joke. Outdated technology with no actual real-time monitoring means someone on probation can easily re-offend. Smashed glass on curbs and sidewalks is the new normal in San Francisco with tens of thousands of car break-ins reported annually. Police are doing their best to make arrests and educate residents and tourists to prevent future break-ins. Meanwhile, our judicial system must hold accountable the offenders who get caught. This is the only way to send a message that property crimes come with consequences in San Francisco. When a repeat offender like Patton gets yet another pass, how can any criminal take our courts seriously? No wonder we have one of the highest property crime rates in the nation. Judge Hite’s next hearing in the Patton case was postponed in the wake of media attention and a Court Watch call to action. Now it’s scheduled for August 31 at 1:30pm in Department 23 at the Hall of Justice. 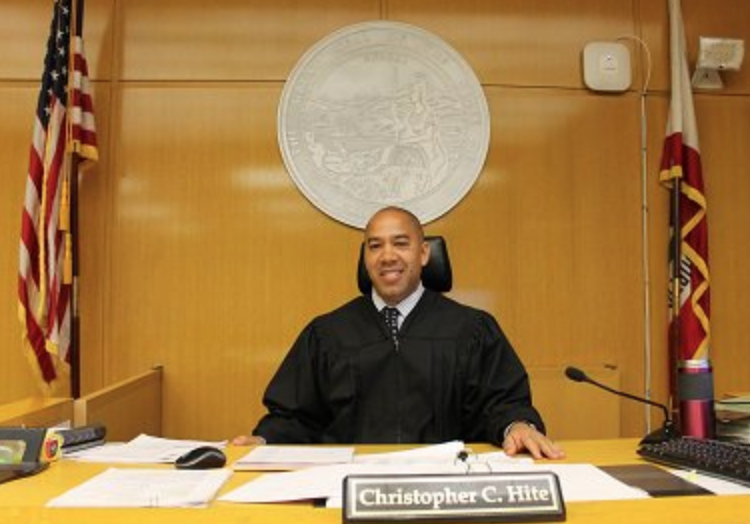 The Friday afternoon of a long holiday weekend is a good time for a hearing if the court wants to avoid scrutiny — which is all the more reason concerned residents should make every effort to fill Judge Hite’s courtroom. Our criminal justice system needs the right incentives for offenders to change their behavior. Lawbreakers need to know they will be held accountable if they violate the terms of probation. And judges need to know citizens are watching. Dodd served on the San Francisco Civil Grand Jury, which reported on auto burglary in 2016. Engardio is vice president of Stop Crime SF.